Fight against depression is not easy to triumph over however in such case even the idea that ‘you can only help those who can help themselves’ seems skeptical. A person struggling in depression can end life if help couldn’t reach on time. You need to figure out symptoms triggering this stage to avoid depression timely and train your brain to think positively. Depression, a mental illness, is an unwanted condition to go through and undesirable sight to watch in someone else’s life. It traps your thinking ability in the phase of grievance where help offered by someone would no longer amuse you rather it seems your foe. This era is full of surprises in terms of readily assistance and the crisis helpline is one such example of immediate help. Whatever the type of depression crisis you encounter with, a helpline, working 24 hours a day and 7 days a week, could be your savior. How will it work to avoid depression? 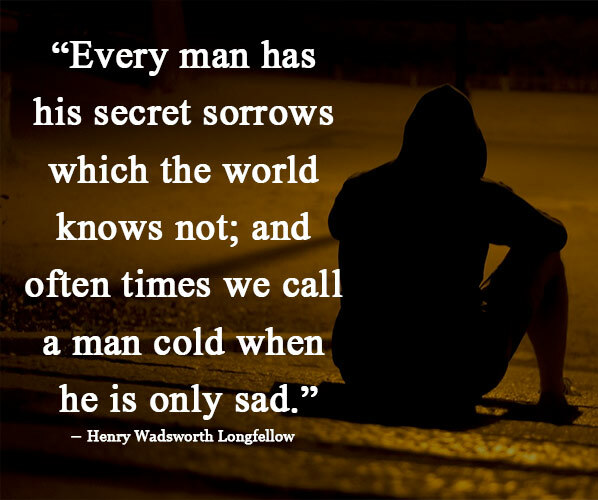 Sadness, grief or depression has a connection to the events in the past. We tend to relive certain moments in the mind again and again that has affected us in a bad way. To let go of such events and to move on-look to the bright future-is the key to unlock hope and happiness and bring change into your life. Your mind needs to understand that reliving the same incident or to imagine bringing any difference in that moment wouldn’t be possible rather negative events of the past will take hold of the merry moments of your present life. To move past the negative situation and trying taking an action right now in the present can kindle hope to a better future. For an instance, divorce-even the word leaves bad taste in mouth-is a relationship phase in which only the negative aspects of each other become the main focus. During the proceedings of divorce many unnecessary details tend to take the attention away from the concerned matter therefore the cases turned out to be ugly. Bring your mind toward a numerous positive traits that have been the part of your married life and those you’ve found in your partner. Don’t give up; cling to hope till the very last bit! Look at your life as a picture that has scenes from a happy beginning to a downfall in the intermission but then something happens that totally changes the deteriorating life and gives you a satisfactory ending. Your life is comprised on the span of childhood to teenage to adulthood. Think about those chapters of your life that were the most shining and epic because those are more important than grieving on the ones that last short and undesirable. Take hold of the authority in your life on your own life and write the positive scenes of your life. Trying to be the best and being hard on your own self for not achieving the expectations might take you close to depression and anxiety. Stay away from the fear of rejection in a social environment and think about yourself as a unique and beautiful snowflake which will get a unique experience. Train Your Brain To Even Contemplate On Negative Thoughts And Feelings Without Taking Them Too Hard On Your Self and Think To Harness Such Ways In Your Life That Will Benefit You Productively. You need to make yourself and your brain believe that thoughts triggering depressed state would not make you a person who should cut every tie from the world and the loving people around rather work with such thoughts to change your perspective towards life and be satisfied and happy.